The JD(U) also spelled out its plan to contest more seats in the state in the 2019 Lok Sabha polls amid speculation of growing differences over seat sharing in the National Democratic Alliiance (NDA). PATNA: A day ahead of its national executive meeting in Delhi, BJP ally JD-U on Saturday categorically made it clear the party will play big brother in Bihar and Chief Minister Nitish Kumar will be the face of NDA in the state. The Janata Dal-United also spelled out its plan to contest more seats in the state in the 2019 Lok Sabha polls amid speculation of growing differences over seat sharing in the National Democratic Alliance (NDA). Senior JD-U leader K.C. Tyagi said: "JD-U will be a big brother in seat sharing for 2019 polls in Bihar." The party would contest more seats. Tyagi's statement assumes political significance in view of BJP President Amit Shah's likely visit to Bihar next week where he will meet and address hundreds of party leaders and workers to discuss preparations for polls next year. Shah is set to meet Nitish Kumar also. 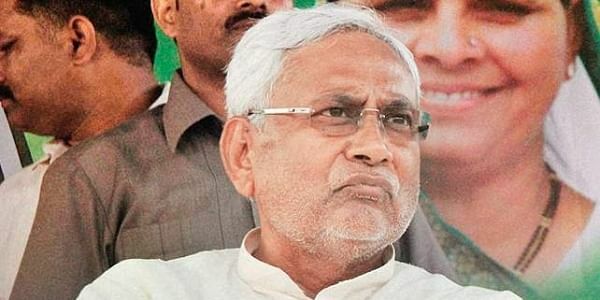 Bihar Chief Minister has left for Delhi to attend a high-level meeting with top party leaders on Saturday, ahead of party's national executive meeting on Sunday in which seat sharing formula will be discussed. Tayagi said if seat sharing is finalized smoothly in the NDA for Lok Sabha polls, there would be no difficulty in Bihar assembly polls in 2020. According to sources, JD-U leadership has conveyed to the BJP that they are not willing to settle with less number of seats and are keen to contest more seats than the BJP in view of party's high tally of MLAs in the state. This stand of JD-U may spell trouble for the NDA in Bihar with regard to seat sharing, as the Bharatiya Janata Party (BJP) is keen to play the "big brother" given its better-than-expected performance in the 2014 Lok Sabha polls.